The program will regularly air from 3-4 p.m. Sundays. 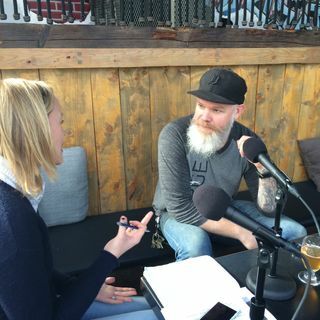 Behind the Mitten with Amy Sherman and John Gonzalez is a show about beer, wine, food, and the people, places and events that make Michigan such an awesome place to live and explore. Robb Klaty, Owner of Table & Tap, Flint Crepe Company, Merge, & Flint's only brewery, Tenacity Brewing; Cathy Gentry, Marketing Director at Sloan Museum, Longway Planetarium & Buick Gallery; and Jake May, Multimedia Specialist with The Flint Journal. The tough problems facing the citizens, city and businesses in Flint, who are dealing with the tragic increase of lead in the local water supply has made international headlines. What John Gonzalez and Amy Sherman experience first-hand, is that Flint is still very much open for business and the water, and beer, has been thoroughly tested and is safe for consumption. Explore some of the revitalized areas in Flint's comeback, and find out how you can support our tough and tenacious fellow Michiganders in Flint, in this week's episode of Behind The Mitten.